Next to the SM863 Samsung has also launched the PM863 series. This drive is equipped with TLC 3D-V-NAND flash memory chips and therefore it's suitable for read-intensive workloads, preserving precious write cycles. Nevertheless, compared to the predecessor endurance has been improved by factors. Furthermore TLC NAND allows for a highly competitive pricing, which you will get with this drive. Overall we're curious to see how this drive is going to perform. 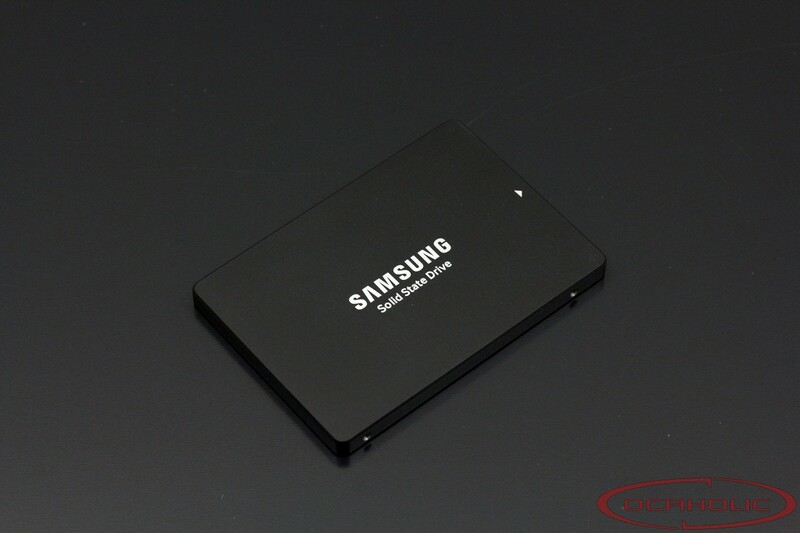 A few months ago Samsung announced two new series of SSDs suitable for the use in data centers. One of which is the PM863 and the other is called the SM863. Whereas the PM863 is recommended for read-intensive workloads (webservers, streaming services, …), the SM863 is designed for read-intensive environments such as OLTP databases. In this review we’re going to have a look at the PM863 with 240 Gigabyte capacity and first of all we want to have look at this drives key features. Let’s start with the Advanced ECC Engine, which, in combination with the End-to-End-Data protection makes sure that any discrepancies in the data path are eradicated in-flight. Apart from that there is also a power loss protection features. In the case of an unexpected power failure, the tantalum capacitors on the PCB provide enough power that data in the DRAM cache can be written into the NAND flash memory, which means no data will be lost. What can be mission-critical in a datacenter as well is overheat protection. If the PM863 ever gets too hot the main controller automatically down clocks, which results in lower temperatures. If we open the drive we find 3-bit TLC V-NAND flash memory. 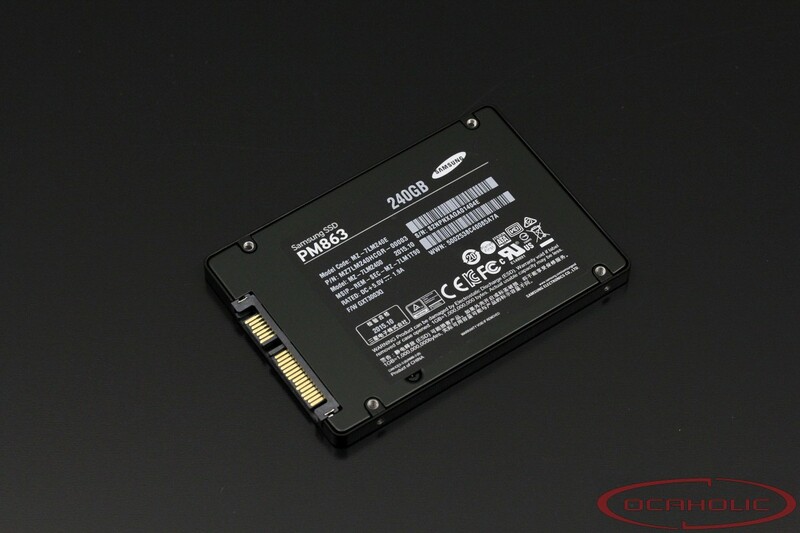 As always with drives from Samsung these chips a manufactured in-house. To be a bit more precise on these chips, Samsung is using 3D-V-NAND with 32 Layers. Per package they offer a storage density of 128 Gbit. If we do the maths, we realize that there is 256GB of storage on this particular 240GB drive available. This means Samsung has put a 7 percent overprovisioning in place. Overprovisioning in general helps to increase performance as well as endurance, since the tear and wear on the NAND flash chips can be reduced. Even more in detail we find a new Samsung Mercury controller, which is the successor of the MDX controller. The latter has been used in the predecessor of the PM863, the 845DC Evo. Comparing the two controllers, one of its main advantages is the fact, that Mercury can address more NAND Flash. That’s actually why there are PM863 Drives with up to 3.84 TB capacity available.